Acrylic stone 1,1x1,8 cm / 1 pc. 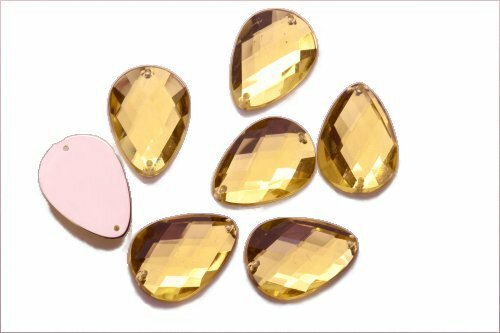 Acrylic stones in the shape of a teardrop, for sewing or gluing. The dimensions of approx. 11 x 18 mm. Two holes with a diameter of approx. 1 mm. Harmonises in soutache jewelry, they are light.